Native Rubella Virus preparation contains more than 90% virus specific protein. The predominant form of the antigen is whole virions suspended in NTE buffer with sucrose. Some residual non-viral protein from the host tissue is present. The preparation does not contain detergent. For a more highly purified Rubella virus preparation, please see PIP045. Rubella virus, HPV-77 strain, cultured in Vero cells, an established cell line from African Green Monkey kidney. Infected cells release virus particles into the culture supernatant. The supernatant is harvested, clarified and concentrated. The virus suspension is purified by one cycle of sucrose gradient purification. The antigen preparation is inactivated by exposure to UV light. This method leads to maximum loss of infectivity with a minimum loss of antigenicity. PIP044 should be sonicated immediately before use to ensure the preparation is uniform.  The product may be used in a variety of immunoassay formats.